Temporal information has been proved to be an important factor to recommender systems. Both of user behaviors and QoS performance of services are time-sensitive, especially in dynamic cloud environment. Furthermore, due to the data sparsity problem, it is still difficult for existing recommendation methods to get the similarity relationships between services or users well. 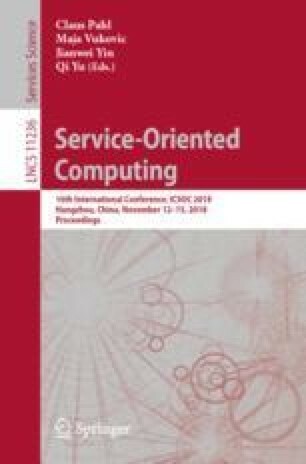 In view of these challenges, in this paper, we propose a temporal-sparsity aware service recommendation method based on hybrid collaborative filtering (CF) techniques. Specifically, temporal influence is considered into classical neighborhood-based CF model by distinguishing temporal QoS metrics from stable QoS metrics. To deal with the sparsity problem, a time-aware latent factor model based on a tensor decomposition model is applied to mine the temporal similarity between services. Finally, experiments are designed and conducted to validate the effectiveness of our proposal. This paper is partially supported by the National Science Youth Foundation of China under Grant No. 61702264, the Open Research Project of State Key Laboratory of Novel Software Technology (Nanjing University) under Grant No. KFKT2017B07.